Today’s recipe is from a new Swiss bestseller nominated for the Swiss Book Prize 2012: Wolkenbruchs wunderliche Reise in die Arme einer Schickse (translates into Wolkenbruch’s fantastical journey into the arms of a shiksa and you find a review in English on the blog Lovegermanbooks). At the end of the book there is a recipe for matzo balls. 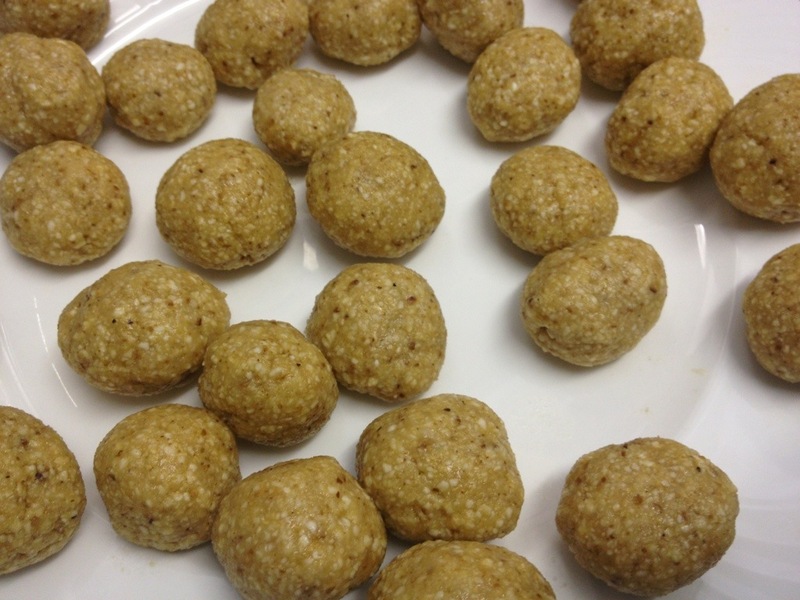 I had to try it and I will do it again and again as it is very easy and the matzo balls are delicious! 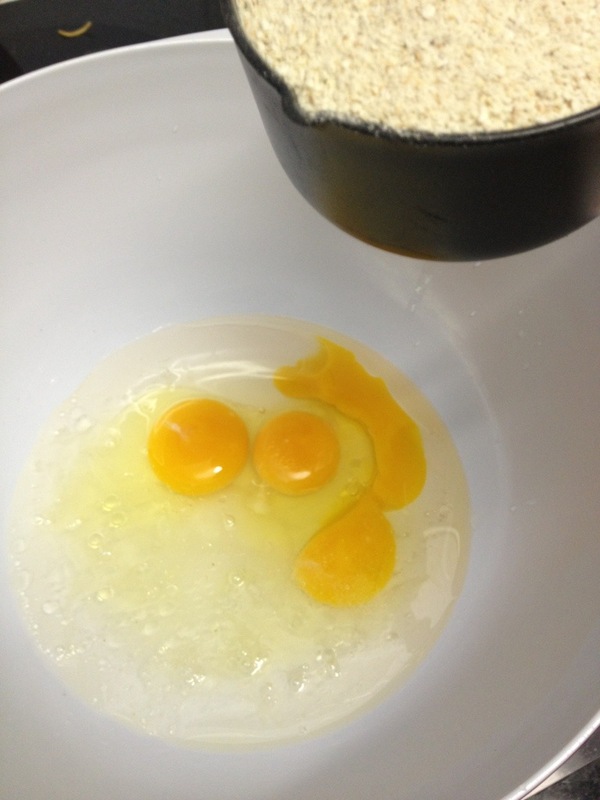 Mix 3 eggs, 1/2 cup cold water, 1 tablespoon of oil, 1 teaspoon of salt and 1 cup of matzo flour. Leave for an hour to soak. 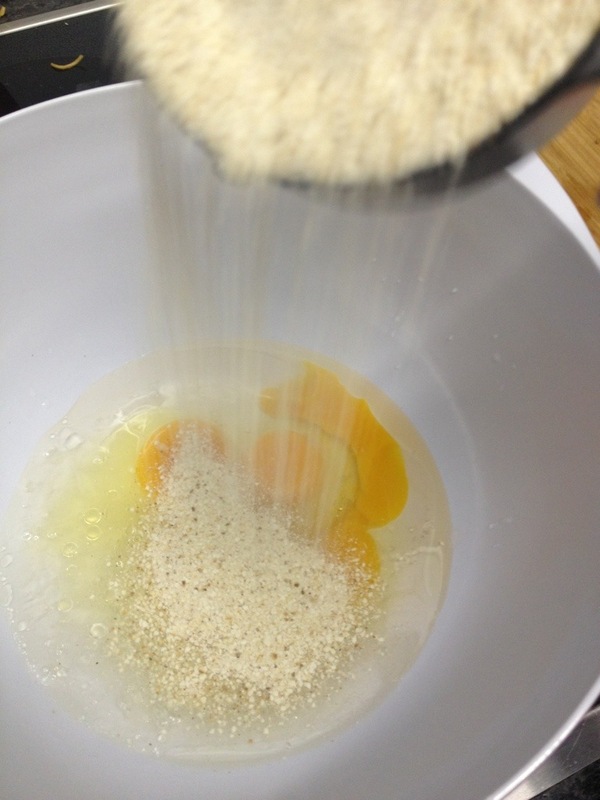 With wet hands (this seems to be important) roll the mix into little balls. 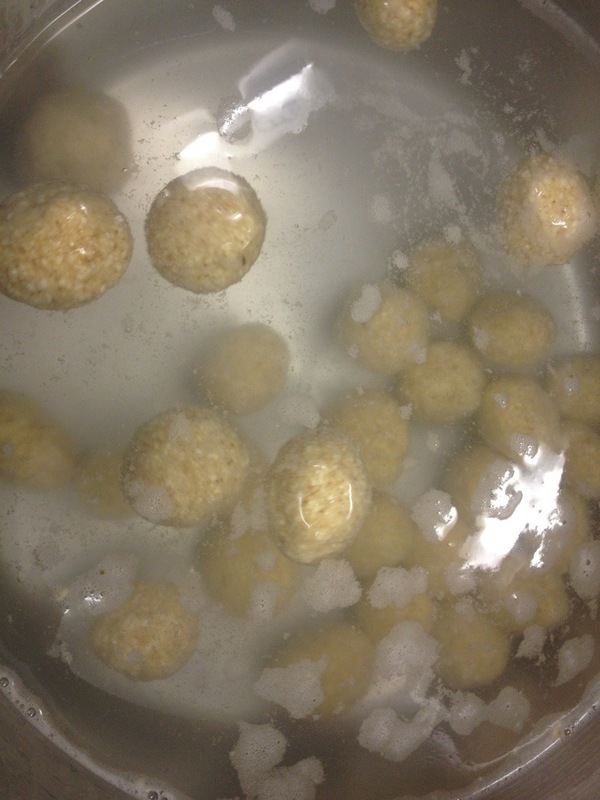 Drop the balls into boiling salted water and leave to simmer for 10 minutes. 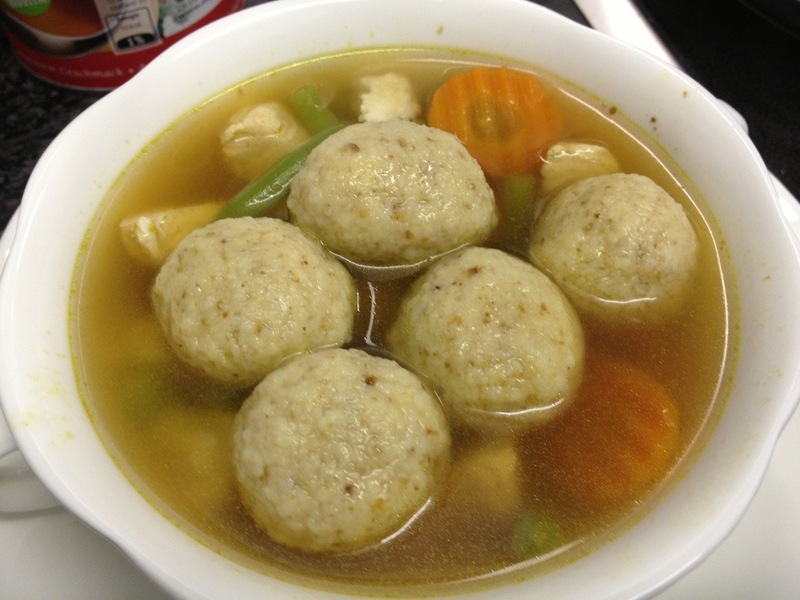 I served the matzo balls with a chicken and vegetable soup.